Phoenix is tired of being second best, so when his entire reason for living walks away without looking back, he refuses to sit by and let history repeat itself. This time, he’s determined to fight for the woman he loves. But Kieran’s influence is strong and to free Amaya of her obsession, Phoenix is going to need help. Hidden deep in the forests of Miari is the one person who might change Amaya’s mind. Except Hana has no interest in revisiting the past. She’s too busy playing saviour to an undeserving nation. Injured and suddenly at her mercy, Phoenix fights to understand the woman she’s become and to uncover the well-guarded secret that motivates her to suggest the impossible: re-open the Guardian Circle and right the wrongs of their world, leaving it all behind for a chance at a better future. But can they do it before it’s too late? Or will they lose everything – again? When Amaya wakes, with only the memory of her world’s apocalyptic destruction, she is surprised to find herself alone in a world deceptively similar to her own. But there’s so much about Zerah that’s changed. The Holy Grounds are gone. The Temple is destroyed. And all that remains of their ancient society is a vast, barren space. Lost and confused, Amaya is forced underground into the dark heart of the neighboring province, hiding out among the monsters – unnatural products of their Maker. She loses all control of her empathetic power, spiraling toward madness, until Phoenix finds and saves her. Together they work to build the semblance of a normal life, but he wants more than she’s prepared to give, and try as she might to forget, she’s still haunted by memories of a man she was never meant to love. Torn between her fear and her need to be redeemed, Amaya seeks out the very person she’s been running from. He presents a tempting offer: he will free her of the Mark that enslaves her to the Guardianship, a Mark that carries only ghosts of a past better forgotten, and give her a chance at a new life. All it will cost is her soul. With the Great War finally over, a volatile peace has settled over Wonderland. The truce between the Red King and the White Queen has produced two daughters, beacons of hope for the future of their nations. But Lilliabella, next in line for the throne, knows a horrible secret. 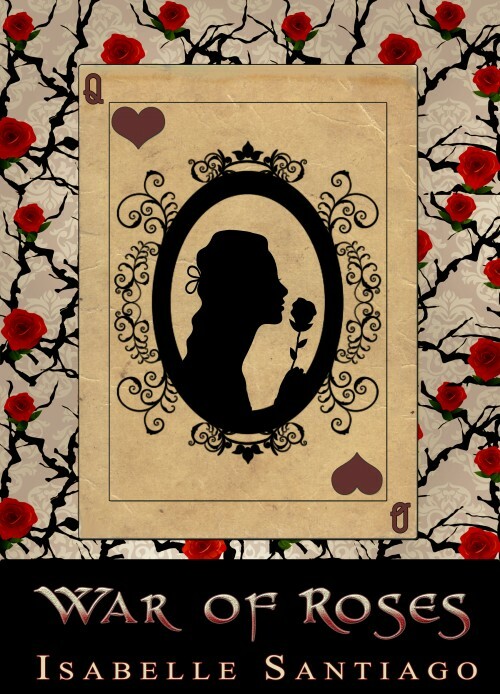 Her sister has no intention of giving up the crown without a fight and Libi fears for her future if Edana gets her hands on Wonderland’s source of true power: the Jabberwocky. With her life at stake and the situation worsening, Libi is faced with a choice: fight or flee. One choice means sending Wonderland into another bloody war. The other means leaving behind the person she loves most and trading a familiar world for one she’s never known. In Zerah, Guardians of Water, Fire, Air, Earth, Life and Death are chosen by The Beings to serve their people. Able to feel emotions The Beings cannot, the six keep their world, and each other, balanced. 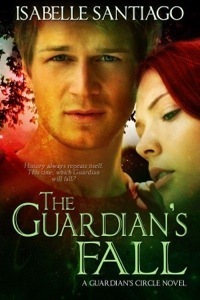 Guardians live and die together, but when Kieran is born with marks that prove he is the Guardian of Death, his mother risks her life to conceal him instead of giving him up to the Temple. 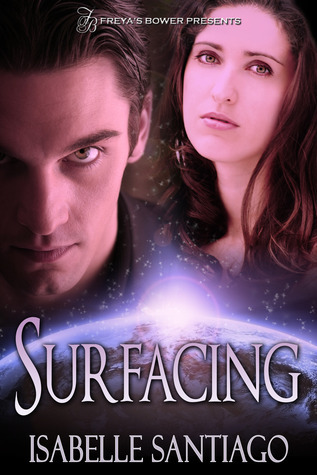 When an attempt to heal him of the burdens of the Guardianship goes horribly wrong, Kieran is suddenly brought to the attention of the High Priests and forced into servitude to a people who have shunned his very existence. He resents his position and all that it entails. It has cost him everything: his freedom, his family. Expected to live and study with the other Guardians, learn the right ways to use his power, Kieran is an outsider among his own kind until he finds the one person who can see the man beneath Death’s mask. Amaya, the embodiment of Water, breaks through his bitter shell and helps him to see that all of life is not bleak. But they’ve sworn a vow and love for one another isn’t part of it. Faeries, water creatures and masters of illusion dance through these stories. There’s a fine line between enchantment and desolation. 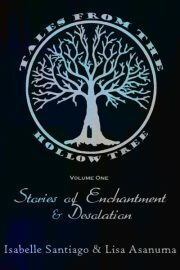 Tales From the Hollow Tree is a free fiction blog by Lisa Asanuma and Isabelle Santiago. Every Friday Lisa and Isabelle switch off sharing a brand new, free story. 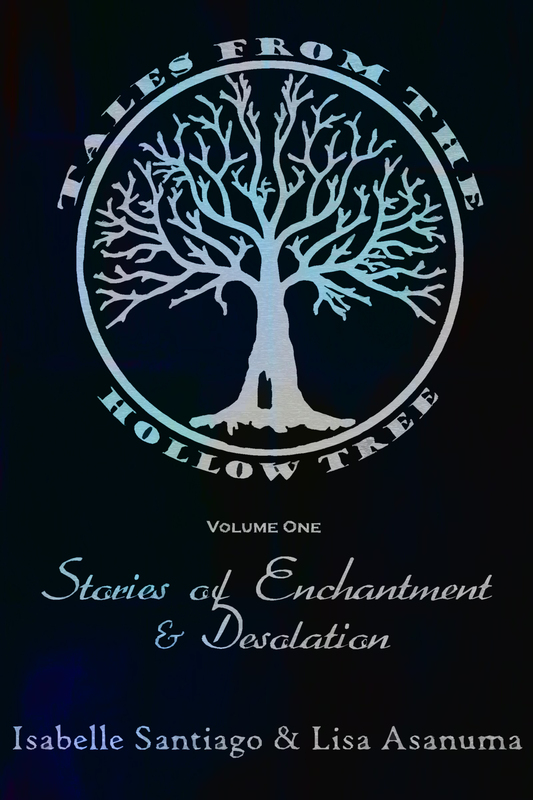 This is a collection of ten Hollow Tree Tales – eight previously published on the blog, and two that are only available in this collection. Paige Jacobs lives the perfect life with her fiancé, Ryan, but the memory–or fantasy–of a gorgeous boy with silver eyes consumes her. Her sister Aimee, the only one who knows the dangerous secrets of her past, refuses to talk about them. Feeling very much alone and obsessing over the haunting memories, Paige decides to write a book in hope of finally dispelling the precious memories so she can move on. Every chapter she writes brings her closer to the boy she’d loved so much in her youth. Then one morning in a coffee shop, she encounters a man with silver eyes. Has she crossed the line between reality and fantasy? Excerpt :: Buy Now from Freya’s Bower, Kindle, Nook, or iTunes! Alexis Grant’s only job is to keep the prestigious Winmont Hotel running smoothly while her cousin, Charles Witmore, enjoys his honeymoon. The only problem: things begin to fall apart the moment he leaves. The pompous Chase Branton, who’s determined to get access to one of her off limits celebrity clients, doesn’t help. Can she keep it together long enough to earn a managerial position of her own, or will a high profile death cause all of her dreams to shatter? Excerpt :: Buy Now in paperback from Freya’s Bower, Amazon, or Barnes and Noble! Charles Witmore is used to celebrities. As owner of the grand Winmont Hotel in Los Angeles, he has seen them come and go more times than he can count. But the experience is altogether different when silver screen starlet Bridget Phillips walks into his life and crashes into his heart. He’s absolutely starstruck. Her beauty is exactly as majestic as has been rumored, but he wonders about the many claims laid against the woman, who seems to be so shrouded in mystery. Initially claimed by prejudice, he sees nothing more than the ice princess she presents, beautiful and stone cold. But, the more time she spends at his hotel, the more he begins to see there is more to her facade than meets the eye. Soon, she becomes the object of his affection, and in an amusing ploy, his two best friends, Betty and Eleanor, and his cute assistant Tessa, set up the matchmaking scheme of a lifetime. But will Bridget’s dark secret keep Charles from his happily ever after? Want to read what some are saying about Cinematic Royalty? Go the the Reviews Page!